Best Buy is set to launch ten 4K and HD Fire Edition models from brands such as Insignia (which is a house brand produced by Best Buy) and Toshiba. No word if all ten models will arrive in Canada. The new smart TVs with the Fire TV built-in that are set to release later this year can connect to HD antenna, use Alexa to search and watch broadcast TV and stream from a variety of service including Netflix and Prime Video, if you’re in the US, you have access to HBO, PlayStation Vue, Hulu and more. Each Fire TV Edition comes with a Voice Remote with Alexa that allows you to launch apps, search for show or movies, switch inputs, control smart home devices and even be paired to your Echo device. You’ll be able to access the thousands of Alexa skills that are currently available and counting. 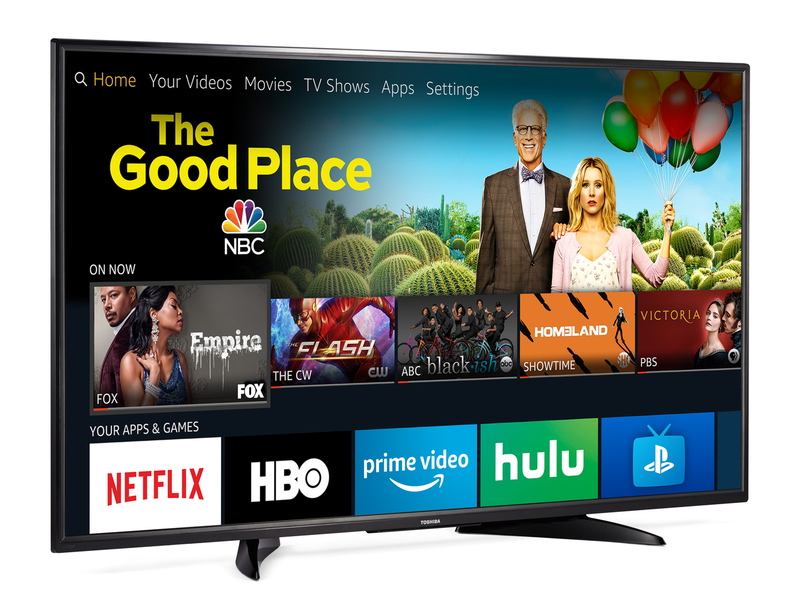 As for availability, the two companies say that customers in the US will be able to purchase the first Toshiba Fire TV Edition TV this summer with more models to come later this year. In Canada, new Fire TV Edition TVs will be available for purchase later this year but no details were announced. In addition, Fire TV Edition smart TVs will be available exclusively to Best Buy stores, Best Buy’s website and for the first time, Best Buy as a third-party seller on Amazon’s website.